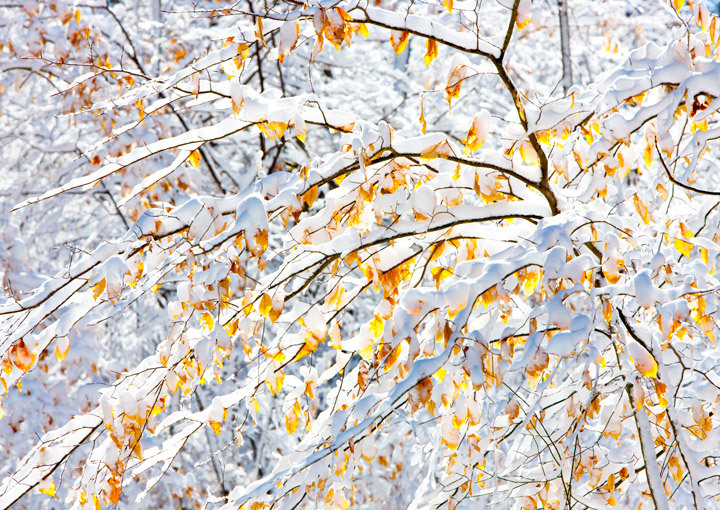 The golden leaves of a beech tree often hang on until midwinter. Here they glisten in the snow and backlighting. Photo © copyright by Ed Fuhr. 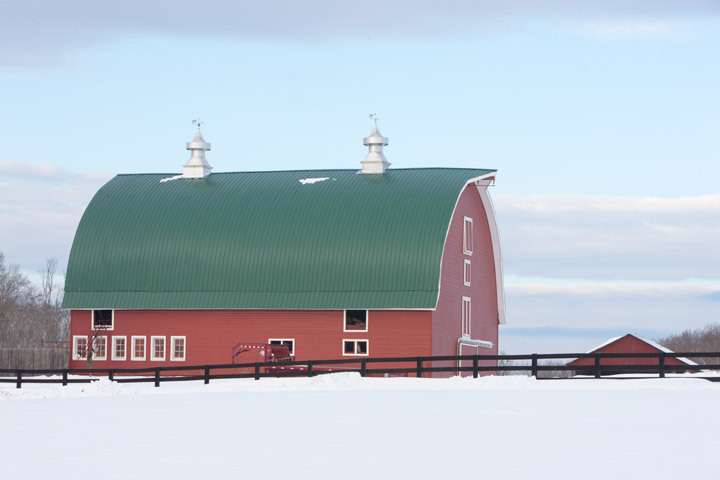 A red barn stands in contrast to the pastel blue sky and fresh snow. Photo © copyright by Ed Fuhr. 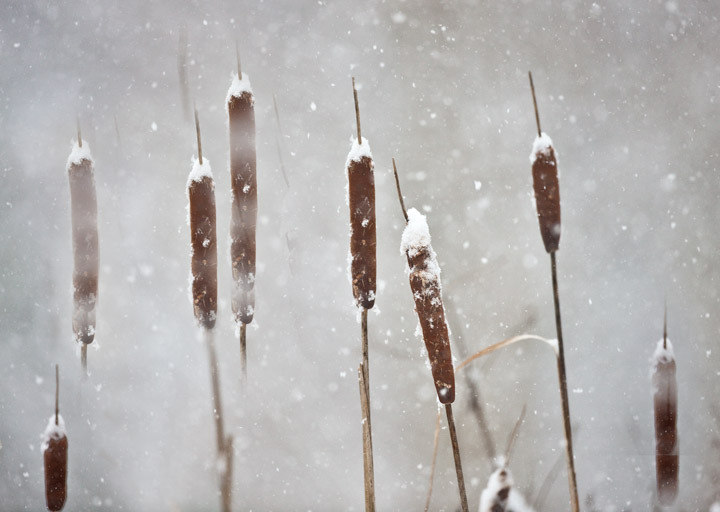 These cattails took on a Japanese artistic look in this snow storm. Photo © copyright by Ed Fuhr. 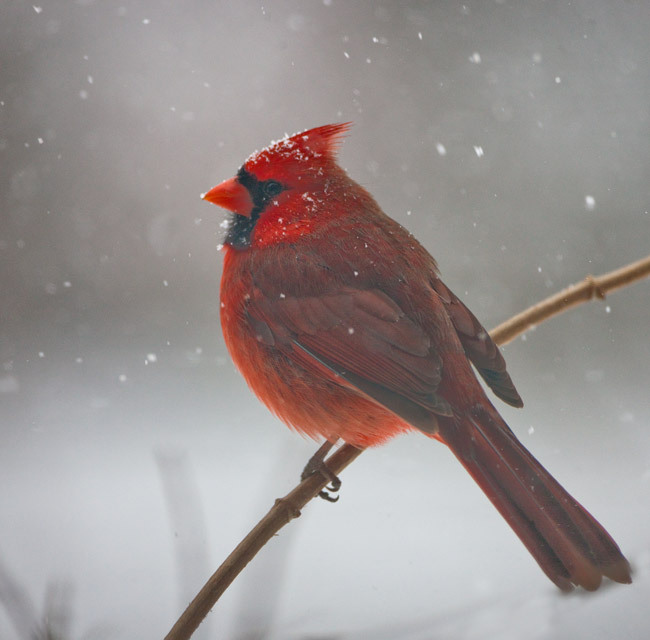 The cardinal is Virginias state bird. 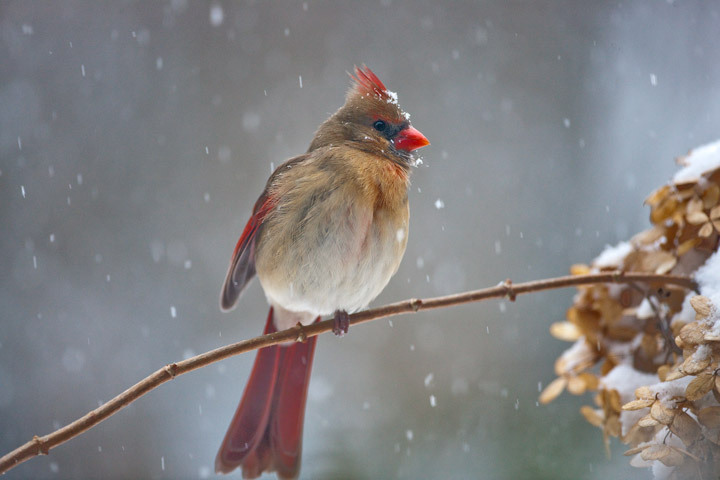 But staying warm and finding food was all that was on this cardinals mind this snowy afternoon. Photo © copyright by Ed Fuhr. 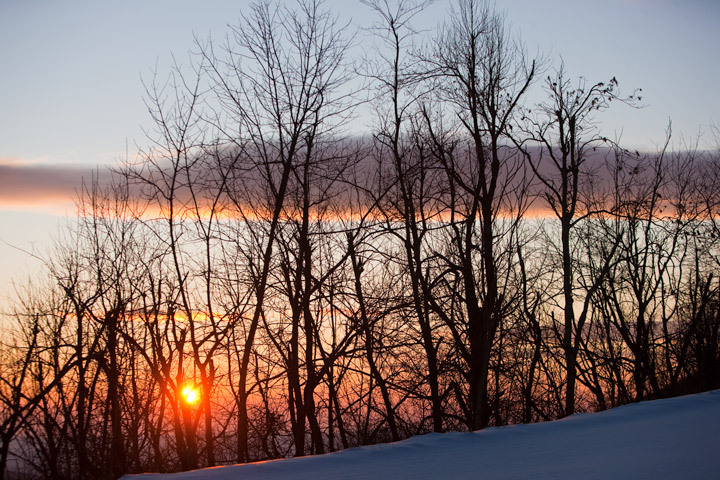 Hiking even 100 yards with Wyoming's best snowshoes was taxing in the four foot deep snows that buried the Blue Ridge Parkway this early sunrise. Photo © copyright by Ed Fuhr. A female cardinal rests on an old hydrangea branch. Photo © copyright by Ed Fuhr. 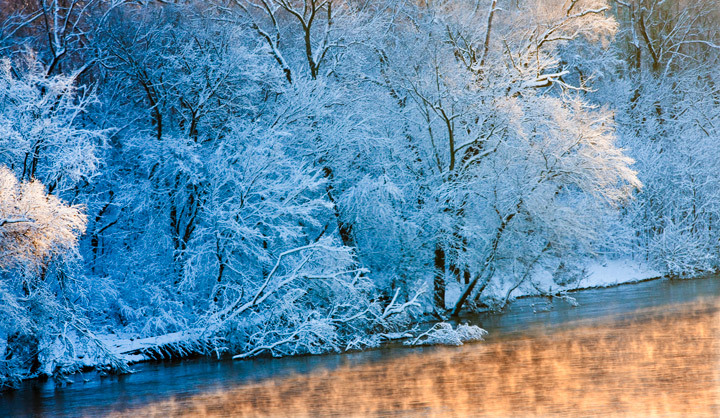 Snow and frost combine to make the banks of the James River and enchanted spectacle this early January morning. Photo © copyright by Ed Fuhr.